Neues Video zu Alpha 13! Joel hat gerade ein neues Video zu Alpha 13 hochgeladen ! Also hier ganz frisch ! 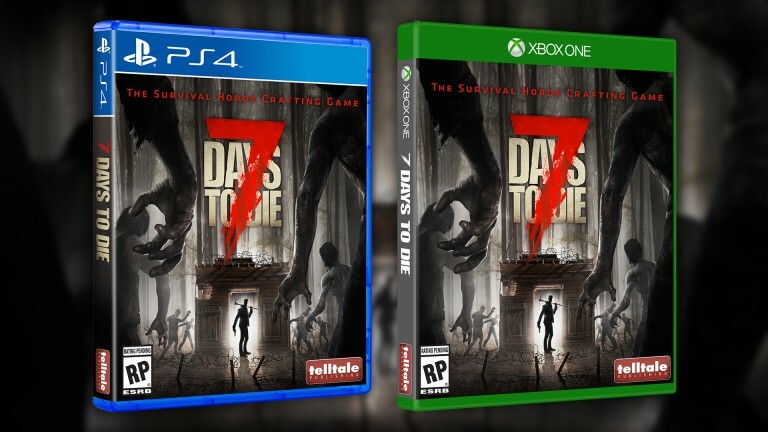 Telltale-Games steigt bei "7 Days to die" ein ! Die Jungs von Telltale-Games steigen nun bei "7 Days to Die" mit ein und bringen ihr Wissen sowie die Rechte für "The Walking Dead" mit. ein paar The Walkink Dead Chars-Skins dabei rausspringen. 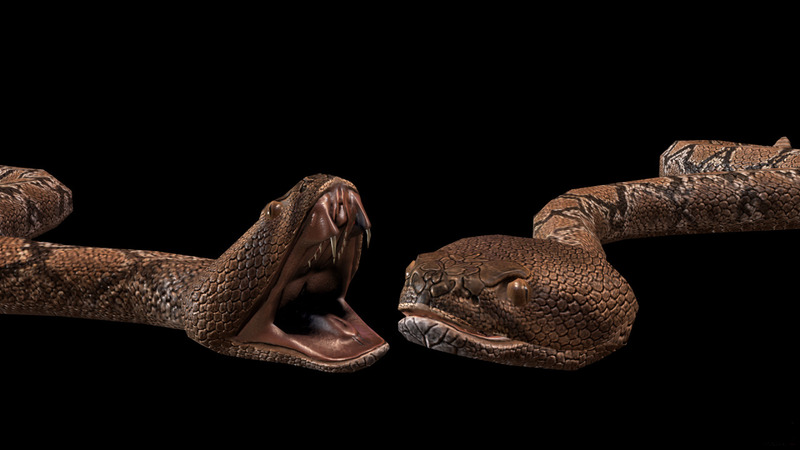 but here is a sneak preview of the rattlesnake that is coming soon! Survivors get your anti venom medicine ready! My bug queue was empty yesterday so I started working on some bandit face paints and tattoos, which will hopefully go into A15 along with trader NPC’s, and an economy. Bandits will sport their own armor that looks completely different than what players currently wear. I also experimented with a dirt and blood overlay which looks pretty promising. As for Alpha 14 we fixed the horde spawning bugs and added a new clamp feature which allows for the zombies to keep spawning the last defined xml group every 7 days infinitely. Hopefully that goes out in the next day or so. Testing went great for me. Sieht zunehmend interessanter aus. Vor allem da DayZ fast tot erscheint, zumindest was die Entwicklung angeht. Ja, DayZ war ein echter blender.... Potenzial ja aber niemand der es auch ausschöpfen wollte. Ich bin so froh das ich auch in 7DtD investiert habe, denn die Jungs von den Fun Pimps haben sich zwar auch oft Zeit gelassen aber sie haben immer alles für die Communnity getan was in Ihrer Macht stand. Und ich bin der Meinung das 7 Days to Die das beste Zombie-Survival-Crafting-Game ist das es auf dem Markt gibt. Neues zur Alpha 15 vom Blog ! Händler werden für Alpha 15 definitiv kommen, und so könnte eine der Händlerstationen aussehen. Und hier das so genannte "Shanty Town"
Mehr Zubehör für die Charackter-Erstellung z.B. Side-Cut Hair, Tattos usw. Hey guys we’re kicking off Alpha 15! A14 will still get some fixes I am sure, but it’s time to move forward. NPC traders - Buy Sell and Trade with them. They might wander the wasteland or be in set locations like shanty town or a roadside trailer. Improved Character Creation - new hairs, muscle slider, fat slider, more clothing variety. We’ll be doing a lot more than just this, but it gives you guys something to talk about and know what we are focusing on. Pictured above is a quick sketch of what a possible trader location might look like, and the new side shave hair style. Hier im letzten Bild sieht man auch ganz toll die neuen Quests die Einsteigern helfen sollen sich mit dem Spiel vertraut zu machen. It all started as a joke. 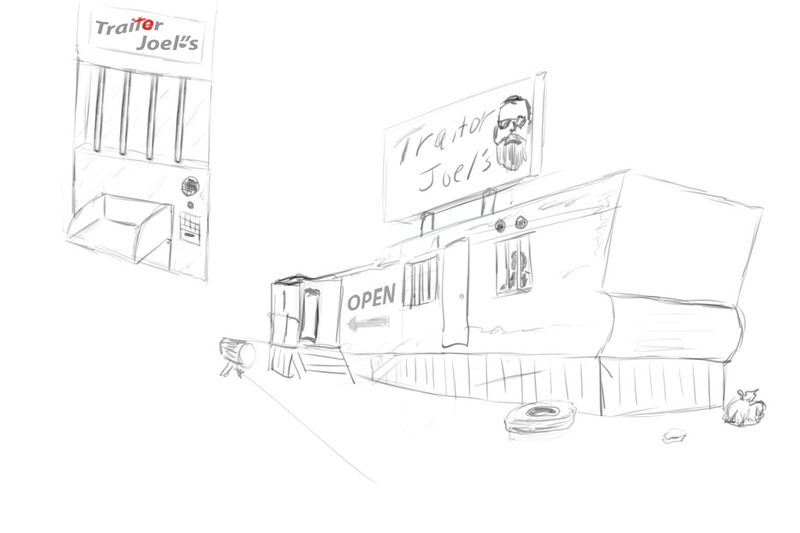 We were talking about NPC’s and traders and it’s been brought up a bunch of times… call him trader Joel, or traitor Joel, making fun of me. So the idea caught some traction and I put on a cowboy hat I never wear and the sunglasses, and it seemed to be a good look for this NPC. So today I created our first trader, and here is a work in progress of his sign he will have at his shop. Banditen tragen Heavy Metall ! We’ve got the heavy bandit armor done and here are some bandit NPC’s wearing it. We also fixed our character shader to display metal properly so all metal armors will look improved in A15 as well. The really cool thing about this armor is it uses a generic armor texture that can be used to make endless additional armor sets (in this style) without adding more texture memory. As you can see in one screenshot, we’ve improved roads a little bit. They have random cracks in them, and are littered with cinder blocks, random weeds, old tires and more. Banditen für Alpha 15 so gut wie Bestätigt ! und daß diese das Spiel drastisch verändern werden. Be aware, be very aware in A15. Roaming bandits are a big game changer. You do not want to run into this guy. He makes a horde of dogs feel like a pack of cuddly puppies. nimm doch einfach den Automaten ! 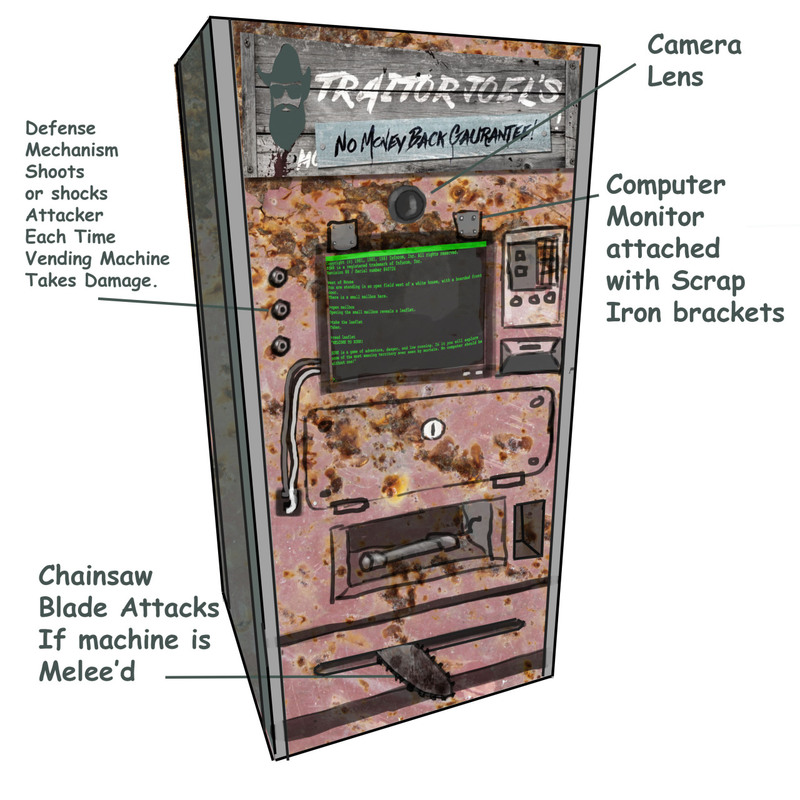 Lathan added vending machines to the game that players can own and put items in to sell to other players. This allows for a safe trading station and for players to earn dukes when offline. I went ahead and drew up a concept art for it and this is what I came up with. We have a lot of other ideas for them but I don’t want to talk about it until they are finalized or implemented but currently they work for selling goods. You can lock them up and give your friend the password and he can sell his stuff in there too or take everything if he wants. They will be very hard to raid especially in a land claim. They will be crafted on the work bench and have some pretty steep crafting requirements, but will be really cool. viel Spaß damit, greets Mav. Dead ist Dead Madmole spielt Alpha 15 !